ONLY available through BAD L's Hobby!!! This "Pup Trailer" is a replica of the original Aurora "Big Ryder" pup trailers introduced in the late 1970's. 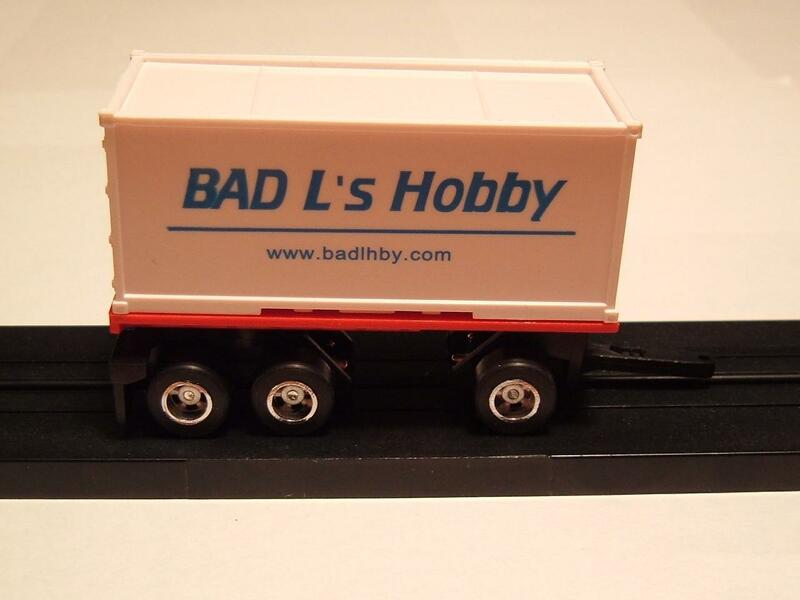 It is an original design depicting "BAD L's Hobby". This container is white and rests on a red trailer.